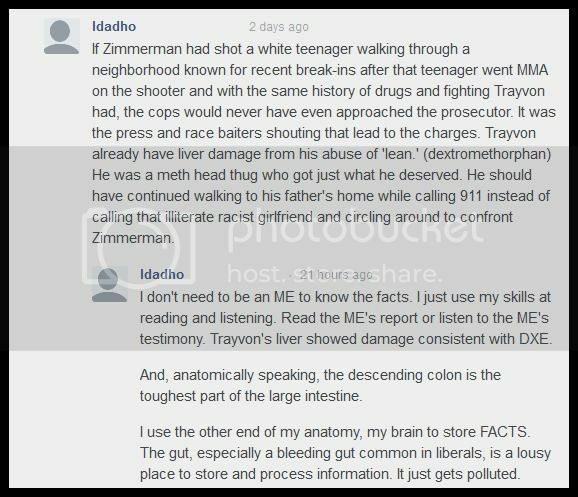 I was originally going to blog about - ALEC's Stand Your Ground and Zimmerman's Criminal Record. But after checking out the latest on Current TV and finding some right-wing Internet Troll trying to spread a rumor on the murder of Trayvon Martin, I had to back-burner the post and put this latest sick right-wing meme in front. Then he went further to prove he KNOWS of what he speaks about the murdered teenager and the (innocent) perpetrator. Good old Wingnut News Daily is gleefully reporting on the serious investigative work of the racist far right wing nut blogger sundancers The Conservative Treehouse who claims that the Skittles and iced tea Trayvon Martin was carrying when murdered are essential ingredients in the Dextromethorphan (DXM) concoction called lean. He further claims that the autopsy shows liver damage consistent with DXM abuse, and that DXM abuse causes psychosis and aggression over the long term. simply slang for Coricidin Cold Pills which contain DXM. abuse at levels which surely would have manifested in both social and legal knowledge of the abuse. Critical Thinking - GOP and Tea Party HATE IT! Rand Paul Wishes To Make Abortions UNSAFE! This Is Not Human! Picture of the Day. GOP Wishes to See Poor Children Go Hungry. OMG, GOP Tea Party Cretins Jump The Shark! Fanaticism Winner - Common Sense Loser... AGAIN! What's The GOP Afraid Of On Gun Control? Marketing and Industry's One Motivation - Sell, Sell, Sell. The Right To Vote, A Long Hard Struggle. Violence Against Women Act Expires, Thanks To The GOP! Obama To Give The GOP A Lollipop. SAY WHAT? The GOP's Hands Are Quite Busy During 2012's End. A good way to live without becoming an old jackass. Planning on reading Agenda 21, Glenn Beck's new dystopic novel? Why Does Democratic Socialism Scare Ignorant People So? Hey Mitt, Here's A Dose Of Truth, Can You Handle It? Save America From What? Are We Really Free?